Unique protection against metals (Nickel, Chromium, Cobalt…), for up to 14h. Proven efficacy. Safe and pure composition. For Nickel allergy... Scientifically proven benefits! Skintifique products have extremely pure formulations, with a limited number of ingredients to minimize the risk of skin reaction. Each ingredient has been carefully selected for its safety profile. 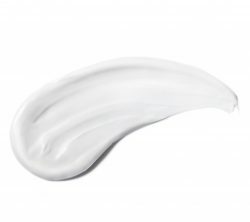 The Protective Cream HPS is: paraben free – metal free (no Nickel, Chromium or Cobalt…) – fragrance free – EDTA-free – BPA free (no phthalates, bisphenol, non-toxic plastic) – sulfates free (no SLS & SLES) – gluten free – silicone free (no dimethicone) – alcohol free – mineral oil free (petroleum free) – lanolin free. The Protective Cream HPS contains 79.3% natural ingredients. The patient is a 36 years old woman with perioral dermatitis since several years. She is also allergic to Nickel. She was treated with many topical steroids with mild or no effect. She tried the Protective Cream HPS and she came back one week later with NO erythema, NO desquamation, nothing on the skin and no complaints. The Protective Cream helped to relieve the symptoms of her perioral dermatitis. Usually I will flare up immediately or in 1 hours after wearing any metal earrings (except gold), but when I use this, my ear will feel itchy only after 5 hours! and it’s only redness on the skin, no blister. but I think the amount I use is affecting the protection time, I once used different amount (less on my left ear), and my left ear got really itchy after 3 hours, but my right ear was okay until 5 hours. I have not tried this product on another part of my body, but I’m happy with the result!